I’ve accumulated quite the collection of vintage costume jewelry over the years. 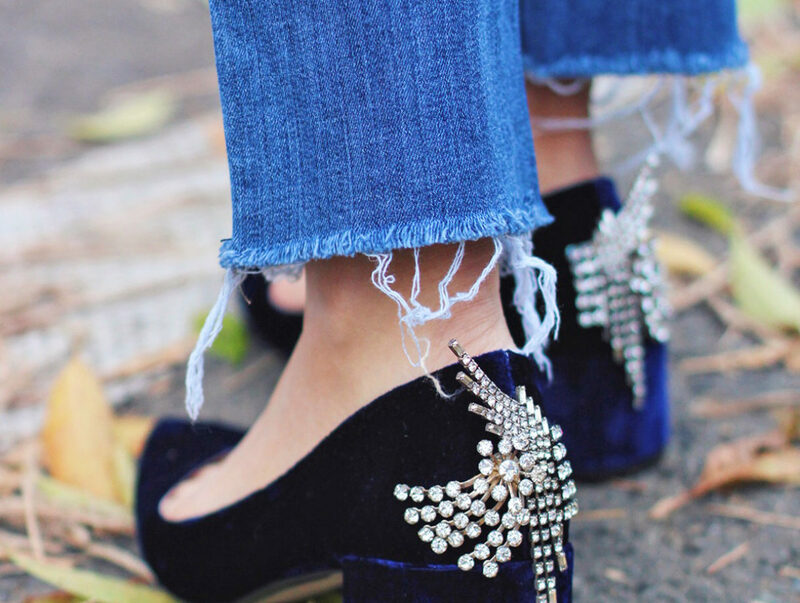 I’m always on the lookout for flawed treasures or irresistible bargains that are just waiting to be added into my craft stockpile as they make for the perfect addition when zhuzhing up a pair of shoes or building a statement piece of jewelry. 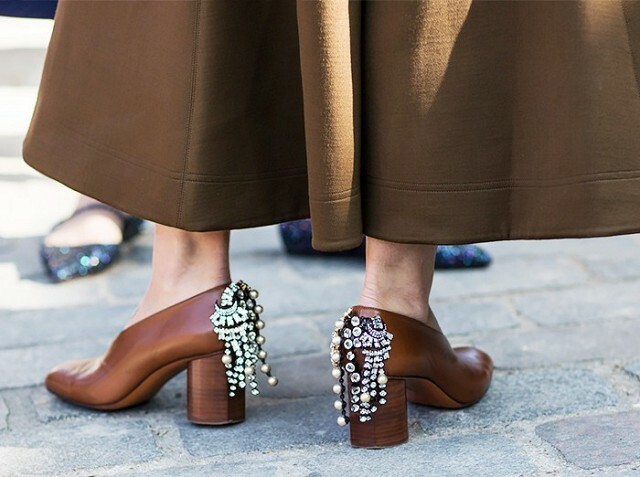 So naturally, Céline’s fall must-have shoe, a pair of block heeled shoes emblazoned with dripping rhinestones and pearls, was just begging to be recreated with supplies I already had on hand. 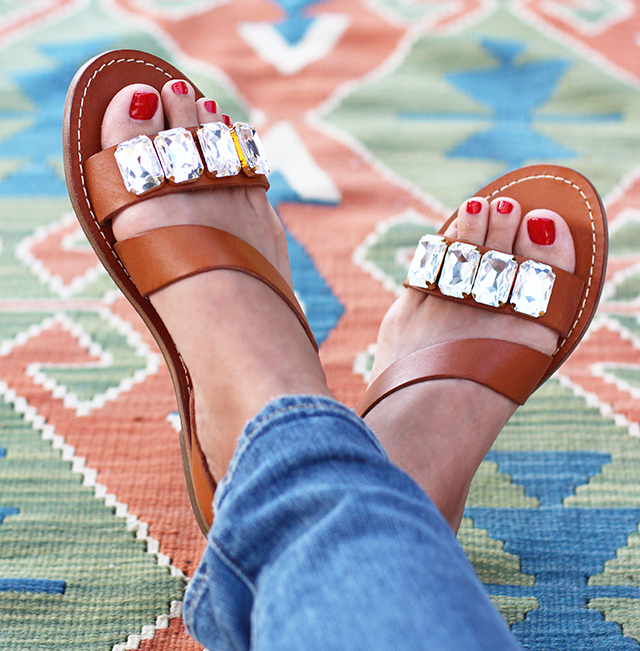 Holiday footwear dilemma solved. 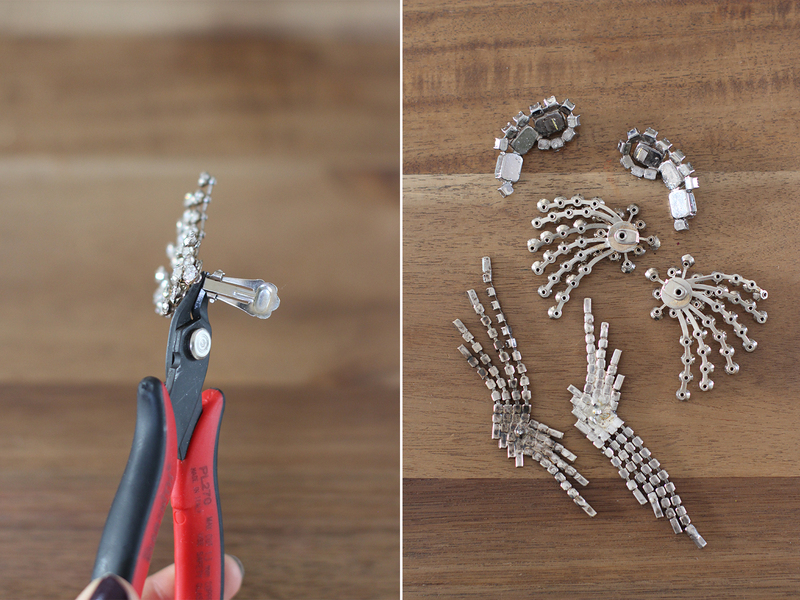 Start by removing the components off the back of the earrings. Whether they have ear clips or posts attached, you should be able to snip them off easily with a pair of soft wire cutters. 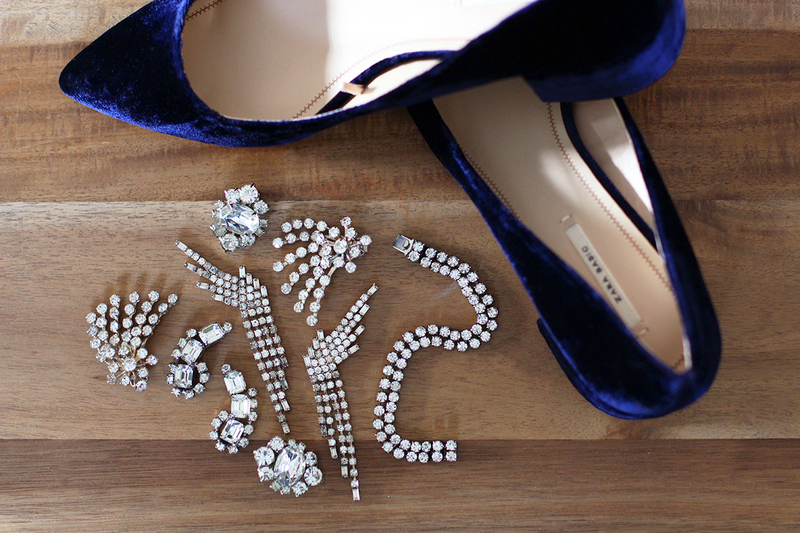 Arrange the earrings on the back of shoe to make sure you like the placement. 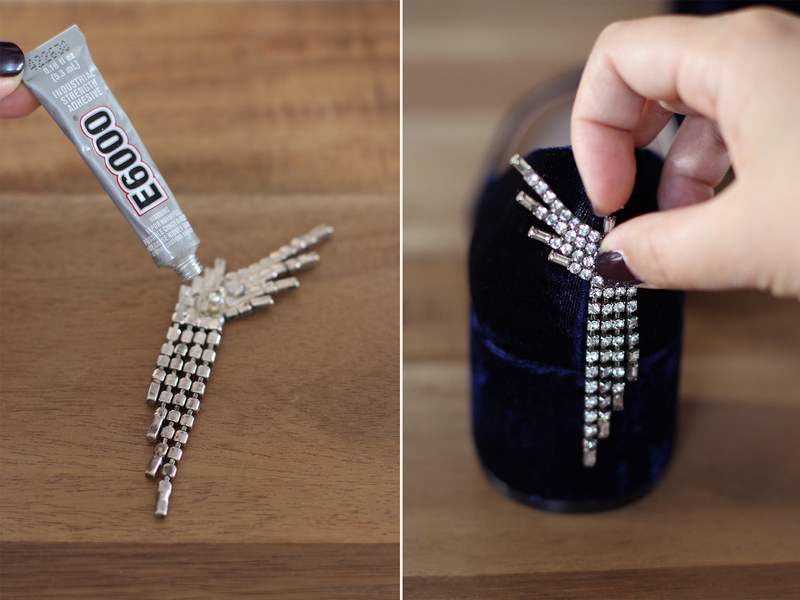 Then place a small dollop of E6000 on the backside of the earring. You really don’t want to use any other glue except E6000 here. It does the best job adhering metal to most surfaces. It’ll work best on suede and velvet or anything textured. Smooth leather or patent leather won’t work as easily. Hold the earring in place for a couple of minutes . 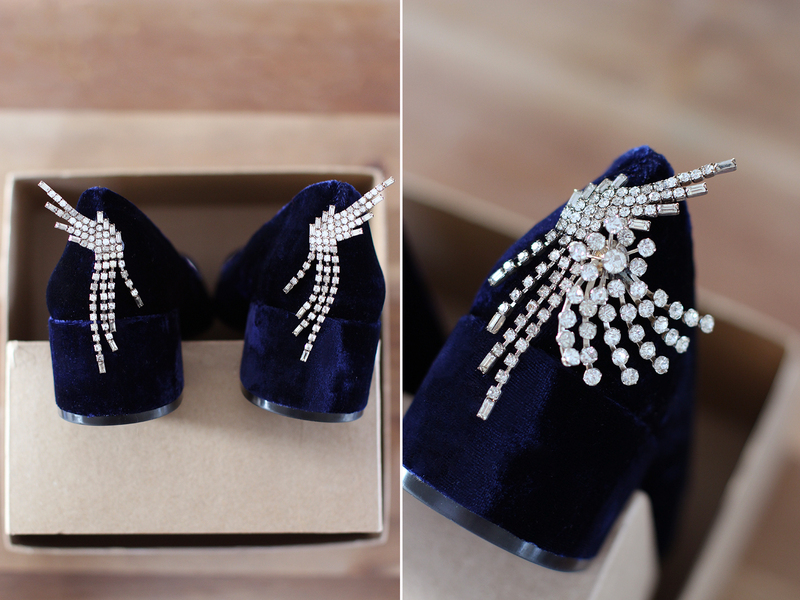 . .
It’s easiest to prop them on a shoebox to that the earrings can dry flat and not slide down, along with the glue. Continue to add the other earrings. Mix up dangly earrings with clustered ones. Allow to dry overnight before wearing. 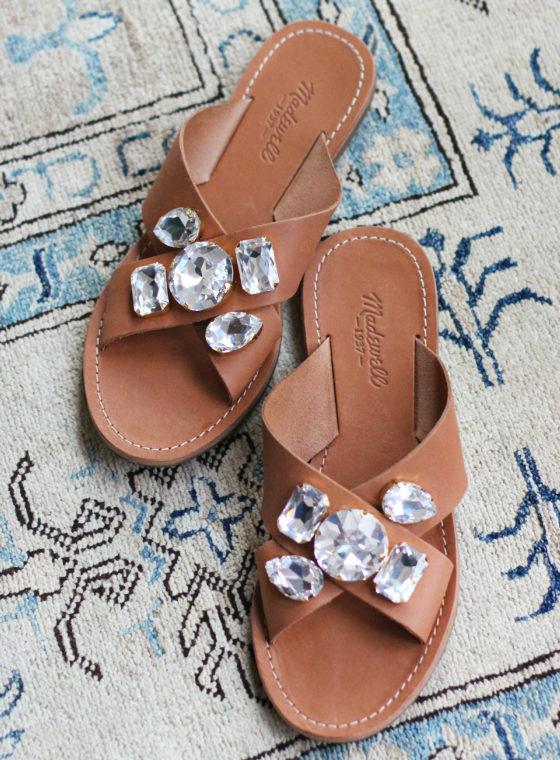 Great idea and I will totallytry it with an old pair! 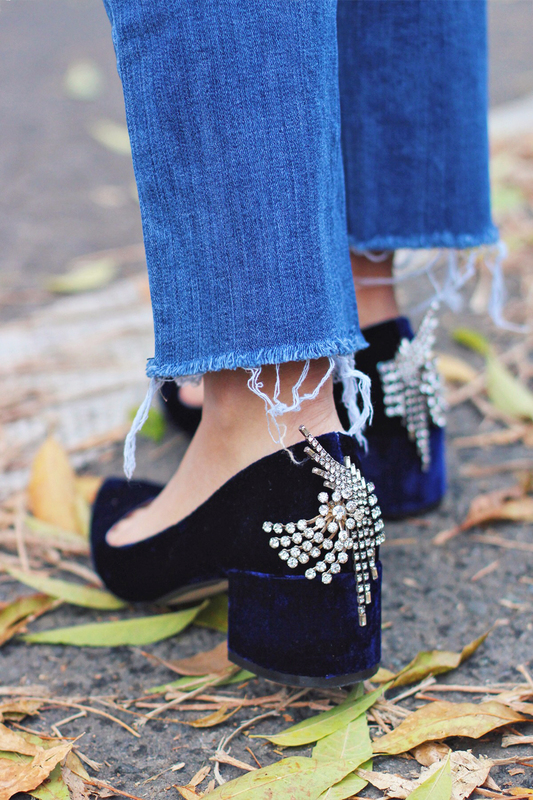 I love these zara heels, they totally made my Christmas list. But I love your version even more! 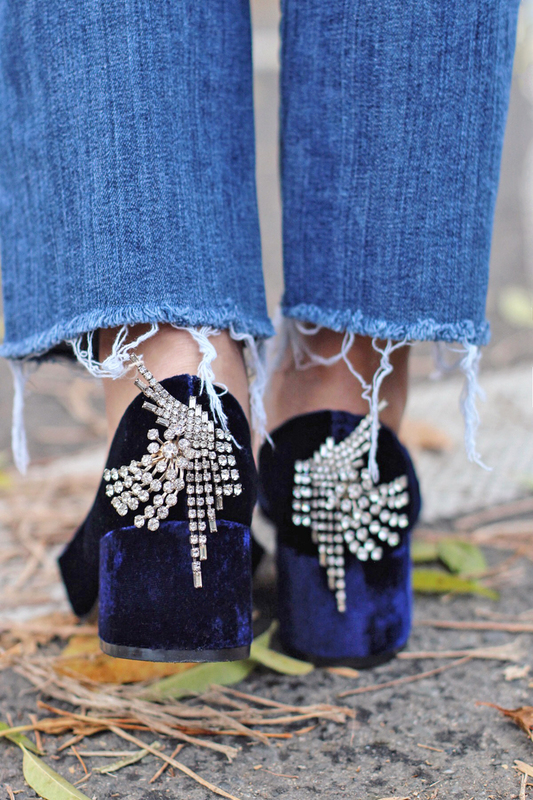 The DIY embellishments are gorgeous and make the shoes so luxurious looking! Awesome, thanks for sharing. Great idea and it’s so beautiful. 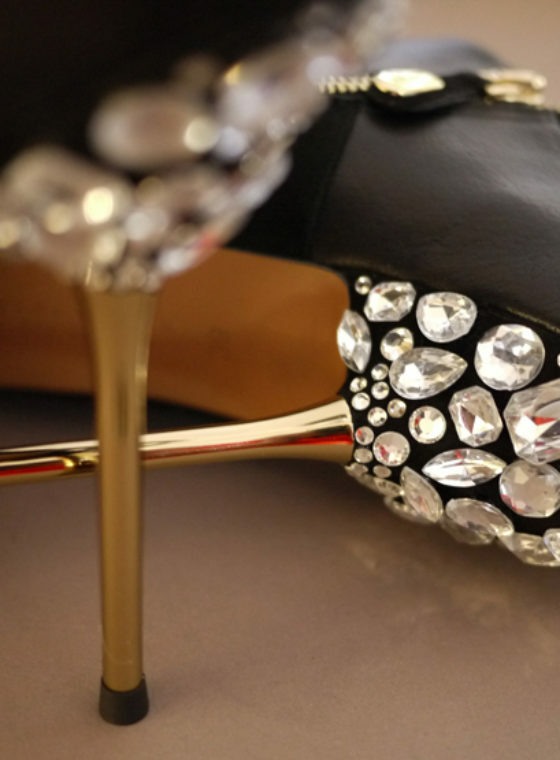 I find those heels such a beautiful eye catcher, it’s just the right thing for the holidays! This is an awesome idea!! !